Canyoning can take you to beautiful, narrow, fern filled slots where you can float along peacefully, looking up at spider webs covered with drops of water sparkling like diamonds or to rivers where you can jump, slide and clamber, in and over pools of water. You might like to abseil in open, airy spaces with stunning views or down the side of a waterfall. BWOC does it all! 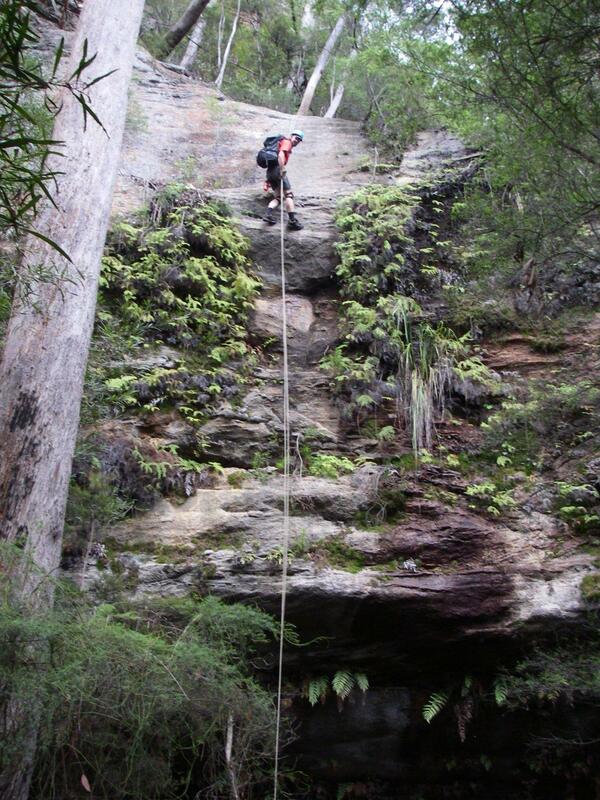 BWOC has a very strong abseiling and canyoning programme. We undertake regular abseil practice days and have a system in place to progress participants through various skill levels. Members are not able to participate in canyoning activities until they are competent. If you wish to canyon with BWOC, you must be prepared to attend a number of abseil practice days.